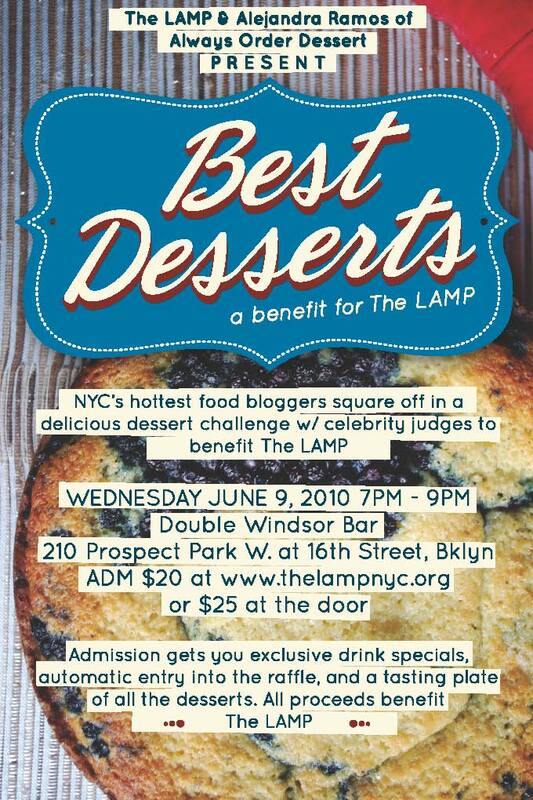 On Wednesday, June 9th, I, along with the folks at The LAMP, am co-hosting a charity bake-off to benefit their amazing media literacy programs for kids, teens, and parents in underserved communities. I've actually taught a few web literacy workshops for The LAMP, and have witnessed first-hand how important the work they're doing is. As bloggers and otherwise Internet and media savvy people, it's sometimes hard to realize just how little many people know and understand about the multi-media messages that are thrown at them everyday. With their workshops and programs, they're working to give kids, teens, and their parents, the tools and skills they need to navigate the messages and think critically for themselves. That is definitely a cause that I--and this blog of mine--can get behind! The event is going to be a delicious one. 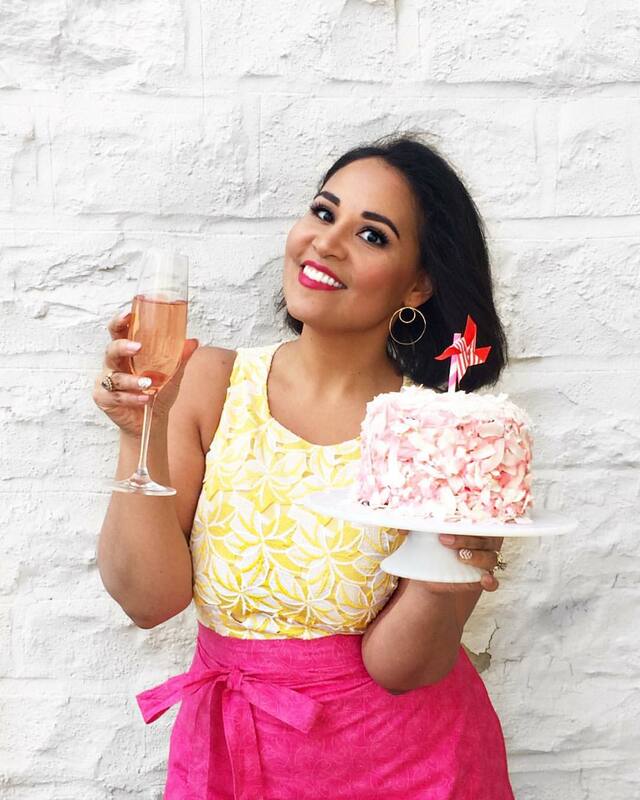 We've assembled a group of uber-talented food bloggers who will be squaring off against each other with their decadent baked treats. A panel of noted foodie judges, including Brooke Parkhurst--NY Daily News food columnist and writer (along with her husband, Chopped champ James Briscione) of the forthcoming cookbook Just Married and Cooking, and Giulia Melucci--author of saucy "foodoir" I Loved, I Lost, I Made Spaghetti. The Double Windsor Bar in Brooklyn is hosting us for the evening. And yes, I said Brooklyn. Those of you who know me personally, know that I live all the way up in Harlem and *rarely* step foot below the Upper West Side (let alone outside of Manhattan!) so you know this is definitely going to be good. Tickets are just 20 bucks in advance (buy your tickets here) or $25 at the door. It's limited entry so I definitely recommend getting your ticket soon! The amount is tax deductible, and your admission grants you automatic entry into the raffles, access to exclusive drink specials, and (of course!) a tasting plate of all the delicious treats. I'm really excited about this, and hope that those of you in New York (or nearby) can make it. Feel free to email me if you have any questions. I'll see you on June 9th! The LAMP (Learning About Multimedia Project) is a non-profit organization bringing free, hands-on media literacy workshops to youth, parents, families and educators throughout New York City. Based in Brooklyn, The LAMP was founded in 2007 by Katherine Fry, Ph.D., and community organizer D.C. Vito with the vision that one day, media literacy will be seen as the critical requirement to understanding the world and our place in it. As part of this effort, The LAMP works in communities to build healthy relationships with all forms of media, with a focus on communities which are considered at-risk or underserved. To date, more than 700 students have benefited from workshops with The LAMP on a range of topics, such as cyber wellness, news literacy, advertising literacy and much more.